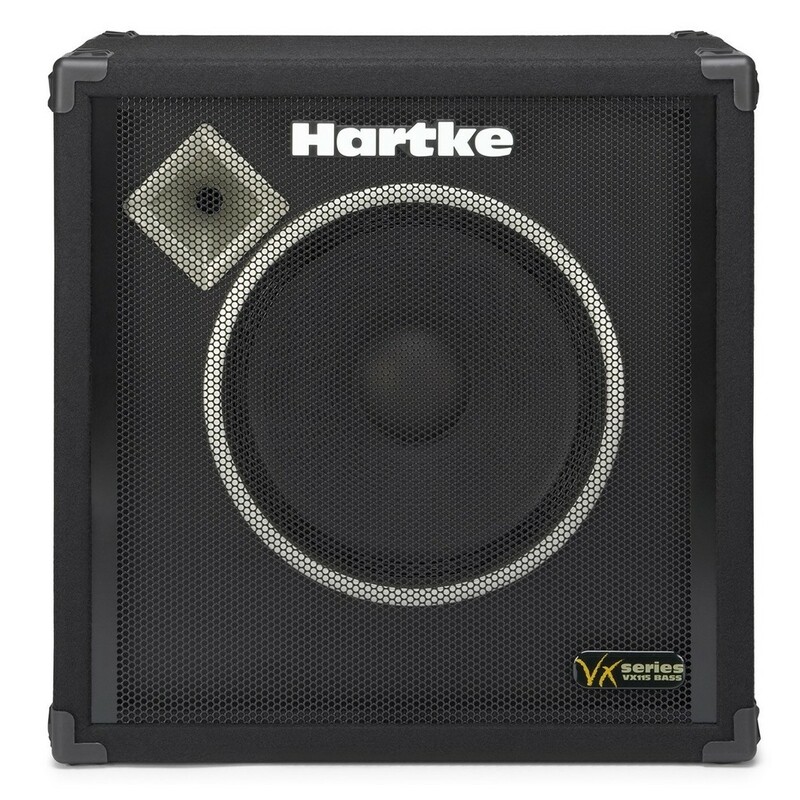 The Hartke VX115 Bass Cabinet is a part of the VX "Very Extreme" Series bass reflex cabinets, which are designed for bassists who demand excellent tone but prefer traditional paper cone drivers. These warm, punchy enclosures feature proprietary drivers with specially treated cones, impregnated fabric surrounds, matched convex dust caps all mounted in heavy steel frames. The high efficiency low moving mass design allows for maximum output and plenty of headroom throughout the full range of the driver. Rounding out the tone, each cabinet has a proprietary design horn loaded high frequency transducer. 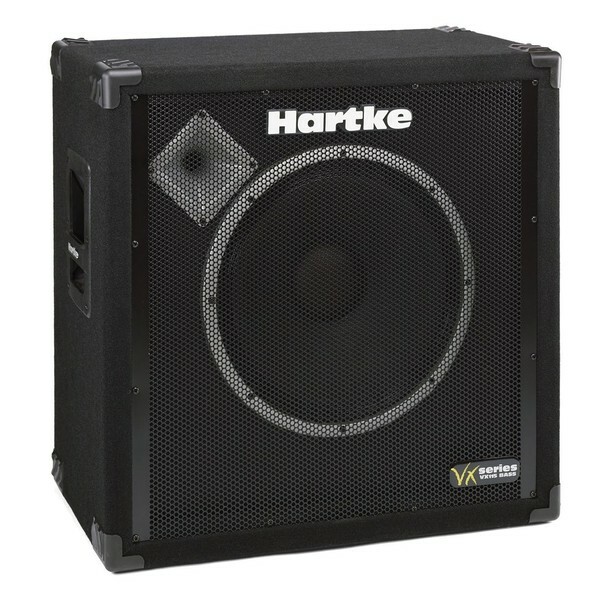 The VX115, handling 300 watts, features a 15" low frequency driver and the high frequency transducer.